Was your diagnosis for bowel cancer delayed? According to NHS Choices, Bowel cancer is one cancer that’s commonly misdiagnosed even though it’s the third most common form of cancer in England, with around 40,000 people developing the condition every year, accounting for around 10% of all annual deaths. It typically affects people over the age of 65 and those with existing bowel conditions, such as Crohn’s disease or ulcerative colitis. And here’s where the problem lies; the symptoms are often similar to irritable bowel syndrome (IBS) or haemorrhoids – such as the passing of blood, prolonged bouts of constipation or diarrhoea, stomach pain and unexplained weight-loss, leading to many patients incorrectly being diagnosed with this rather than cancer. Delays in diagnosis can lead to the cancer getting worse and this can mean that much more traumatic treatment is needed, such as chemotherapy, and in the most serious cases, death of the patient. Bowel cancer can be treated successfully with surgery, chemotherapy and radiotherapy provided it is caught early, with the chances of living another five years improved by as much as 90%. The Lincolnshire Echo reported the similarly tragic case of Mark Browne, a father of three from Lincoln, who was told by his doctor that he was ‘too young’ to be suffering from bowel cancer and his condition was initially diagnosed as piles. However, just 12-months later, a 6cm cancerous tumour was discovered in his bowel by medical professionals following an MRI scan after his symptoms refused to clear up and Mr Browne embarked on a course of treatment which included chemotherapy, undergoing keyhole surgery and eventually being fitted with a colostomy bag. He had been passing blood for over a year but this was not identified as potentially being bowel cancer despite it being a well-known symptom of the disease. Eventually the cancer spread to Mr Browne’s lungs and he died aged 46 in 2012. The family’s GP admitted negligence and admitted he may be alive today if a correct diagnosis of bowel cancer had been given. If your treatment was delayed because your bowel cancer was incorrectly diagnosed, then you maybe eligable to claim for compensation. 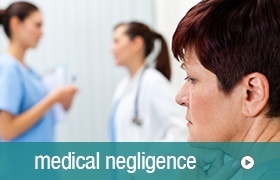 Speak to our medical negligence team, in confidence about your right to compensation. Request a free call back, or call 0800 122 3130 anytime.